Nicky Noo is the first set of cards that have been embossed by Lou with a border which encapsulates each design perfectly. Textured art work and printed on a high quality textured board give the cards a home made and tactile feel. 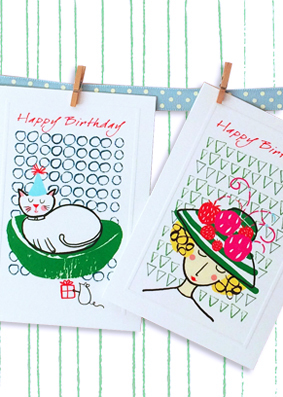 Quite a unique set of bright and fun, yet sophisticated cards, that all ages will love.